Jennifer Aniston shows her support for the Derek Zoolander Foundation with a Samsung Galaxy S6 edge+ selfie at the premiere of Zoolander No. 2. Ben Stiller shows his support for the Derek Zoolander Foundation with a Samsung Galaxy S6 edge+ selfie at the premiere of Zoolander No. 2. The 'Zoolander No. 2' premiere was a runway show and red carpet event all rolled into one. The star-studded event was complete with floor-length gowns, umpteen photographers and every big name from Will Ferrell to Jennifer Aniston to Neil deGgrasse Tyson. Despite that the film pokes fun at the fashion industry, major players like Marc Jacobs, Alexander Wang, Tommy Hilfiger, Valentino and Anna Wintour assisted in the making of the movie. 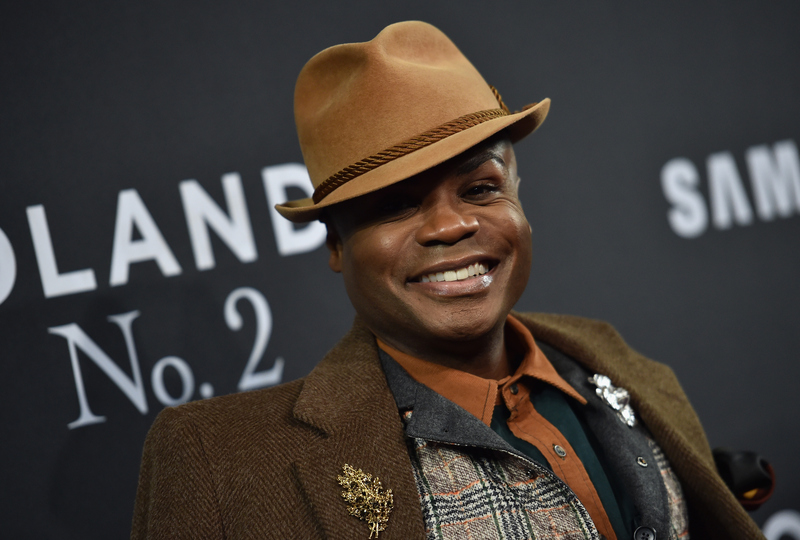 With fashion practically being its own character in the movie, as the film's costume designer Leesa Evans attested, we were dying to know just how interested in fashion the film's stars actually are. Some of the more consciously fashion-forward names we spoke with on the red carpet were supermodel Martha Hunt and actor Nathan Lee Graham. Hunt looked as gorgeous as ever, rocking a sparkly black mini dress by Vince Camuto with Vince Camuto heeled sandals. An industry vet, the 5'10'' Victoria's Secret Angel admitted that she prefers to keep her personal style simple when off the red carpet. "The older I get, I just look for classic pieces to mix with fun jewelry," she said. "Mostly vintage T-shirts and jeans with accessories." As for Graham, who plays Mugatu's abused assistant, Todd, in the film, he likes to keep things fabulous at all times, and his favorite look is all black everything. "Listen," he said. "I love black, and it's not just because I'm a New Yorker. But black just always looks good on everyone and you can wear it year round, all seasons." The fashionable actor recommends that everyone, male and female, own a nice pair of black boots, a black blazer, a black coat and a crisp white shirt. "AND!" he added, "My big go-to for every outfit in the world? A scarf. All year long, just change the weight." We also spoke with Skrillex and Fred Armisen, both trendsetters in their own right. Skrillex, since the dawn of his music career, has paved the way for alternative dressers everywhere. "I feel like I've dressed the same way for a long time, you know?" he said. "And I've had hair for a long time, too, since I was like 16." His edgy-casual ensembles paired with his long black locks automatically make him someone to watch in the fashion world -- anyone who's willing to break all the rules, right? And Armisen, the former SNL funnyman who makes a brief cameo in the sequel, actually fancies himself a fashion-forward guy. "I always think that I am kind of fashionable, but no one's ever told me such," he said. "I always think I have, like, a unique, simple way of dressing, but no one's ever said that to me." Well, Fred, we think you've got great style. 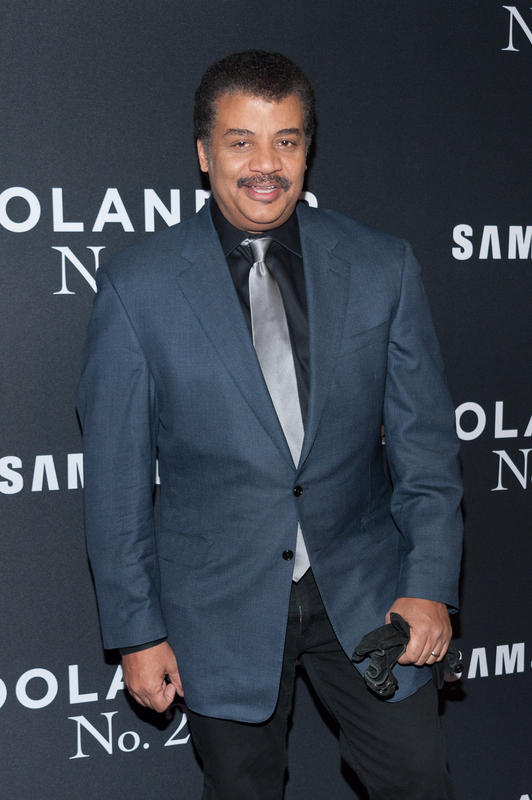 Perhaps one of the most unexpected cameos in a blockbuster comedy about the fashion industry was Neil deGrasse Tyson, who looked dapper as ever on the (actually purple) red carpet. The famous astrophysicist laughed hysterically when asked about his personal fashion choices, revealing that the very jacket he was wearing was, in fact, stolen, as a result of his subpar wardrobe. "Multiple occasions when I've been asked to appear on a show," he divulged, "they come look at my wardrobe and say, 'Nothing there!' and they come out and dress me. This jacket?" he laughed, "I kept this after a photoshoot for something else!" Of all the head-turning looks we saw at the 'Zoolander No. 2' premiere, however, we have to say that Miles Robbins stole the show. 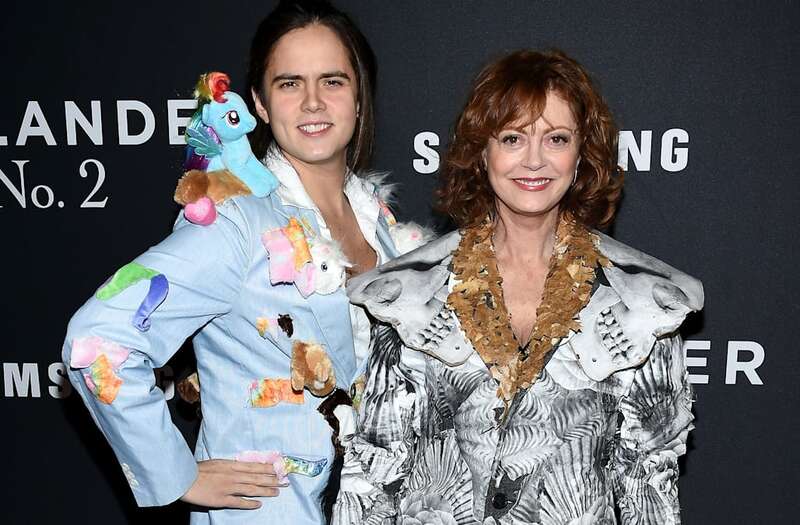 The 23-year-old son of actors Tim Robbins and Susan Sarandon donned a light-blue jacket covered in plush ponies. "I'm wearing Ponymen," he said tongue-in-cheek (we think). "It's a piece by Jean Claude Pierre Claude Jean Pierre, he's a French designer from the Swiss Alps. It's high fashion." It certainly was something. For more out-of-the-box fashion, be sure to see 'Zoolander No. 2,' in theaters February 12.